Although James Bond is known to be a Sony fanboy, this neat iPhone app might grab his attention. 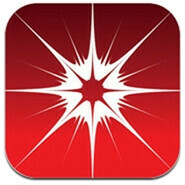 It is called Wickr and enables "military-grade encryption of text, picture, audio and video messages". Basically, you can communicate with another Wickr user safely and securely, without worrying that someone might later go over your communication. Obviously, Wickr is a little too sophisticated for the average user, but if you intend on conquering the world, or if you are simply into sexting, you might want to give ti a shot. It can be used on iDevices running iOS 5.0 or higher and jailbreaking is not required. Is it coming to android?